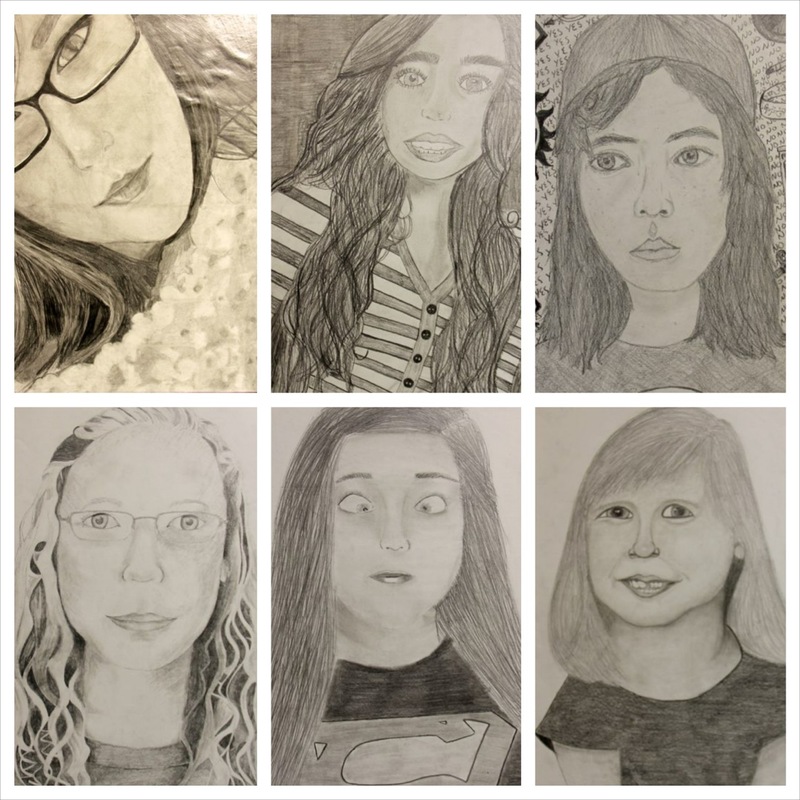 Over the past 3 weeks, Art Foundations 1 and 3 students were given the task to compose a ‘selfie’ shot via their digital camera, social media, personal archives or mobile phone. 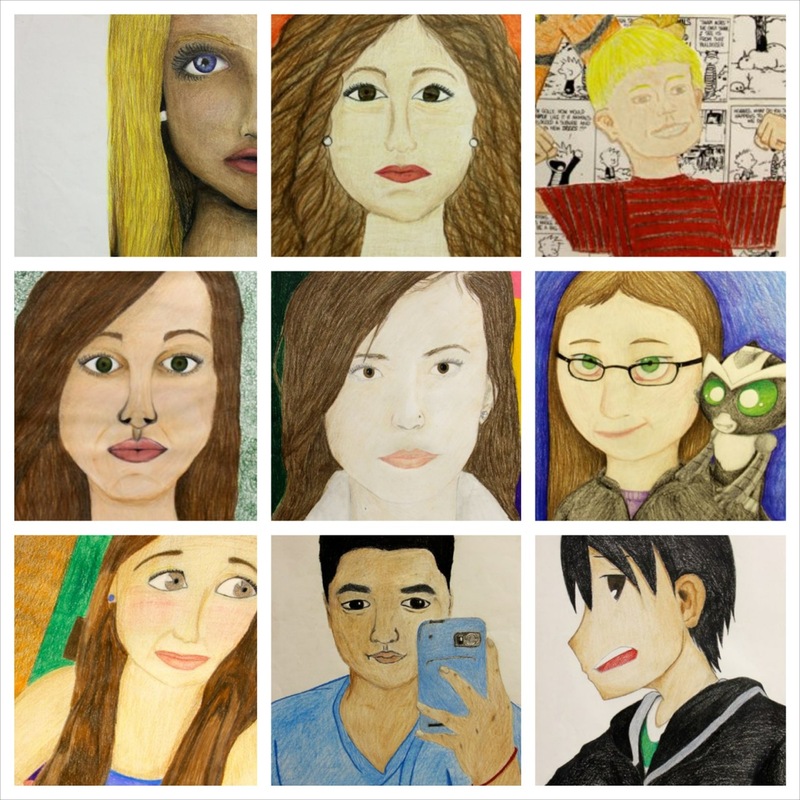 Once they selected their chosen image, they were to create a large scale self-portrait using pencil and color pencil, respectively. Students had the option to free hand the drawing or use a grid. Self-portrait had to incorporate use of details, value, implied texture, color, balance, and emphasis. Here are a few selfies.